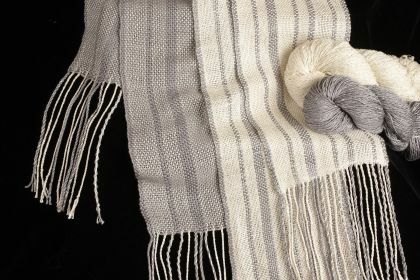 Create interesting color and texture using different width stripes and two different silk yarns. Four color choices! Finally!! 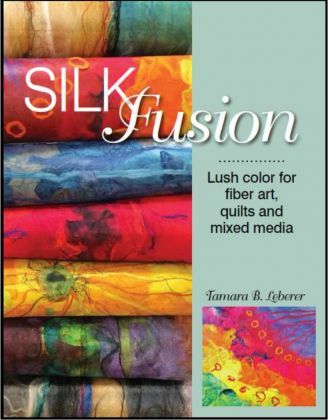 A fabulous book entirely devoted to silk fusion (aka "silk felt" or "silk paper")! Tamara has created this gorgeous 92-page, full-color book filled with step-by-step photos and illustrations. You'll learn how to layer silk fibers and fuse them with textile medium, design and assemble gorgeous mosaics, plus how to use silk fusion in a variety of projects. No special skills are needed -- just follow along and create pieces of silk fusion that bloom with color. A great holiday gift! There’s nothing else like silk! Silk is strong yet delicate, luxurious and lustrous. Silk loves color and we love silk! If you weave, spin, knit, crochet, cross-stitch, needlepoint, hand-stitch, braid (kumihimo), create silk fusion, fiber art, nuno felt, mixed media or make paper, you'll find silk that works for you. 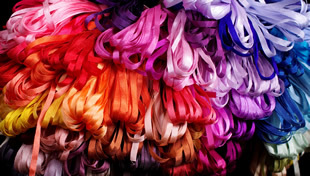 Your silk experts and hand-dyeing specialists since 1977, Treenway Silks offers the most diverse selection of high-quality silk fibers available, which we hand-dye in a rainbow of colors. 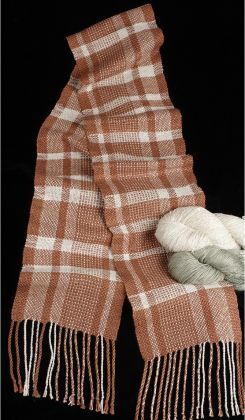 Discover natural (undyed) silk yarns (35), silk fibers (21), silk cocoons (5), and 4 sizes of silk threads & silk ribbons. With all our color choices, you find over 5,000 silk products! And we ship world-wide. You’ll find accurate, reliable information About Silk and informative Silk How-To. Plus, an inspirational gallery of silk creations. 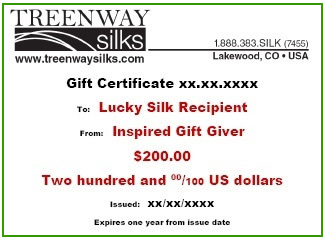 Treenway Silks is based in Colorado, the home of owners Susan Du Bois and Richard Yabunaka. Prior to 2011, the company was owned by Canadian founders Karen and Terry. 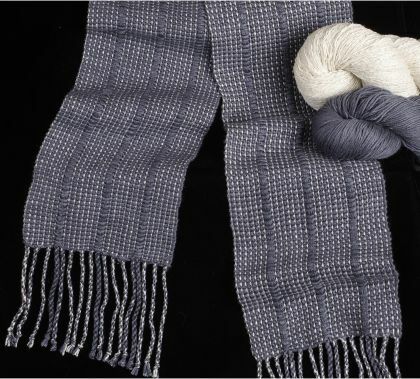 Weave two silk scarves with “Light & Dark Fibonacci Stripes” kit. Two skeins, two scarves, two looks! 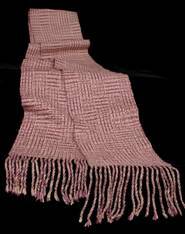 Love the thick “rib” in “Ribbed Stripes” silk scarf kit. Easy to weave with just one shuttle! Welcome spring with this fun fringe and clasped-weft technique! Weave two “Broken Borders” Silk Scarves in your choice of four colorways. 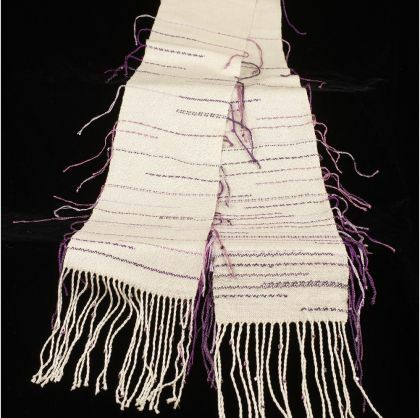 Can you believe this intricate design is woven on just four shaft?! Welcome to the wonderful world of Color and Weave! Silk Tidings- Register for our on–line newsletter which includes updates on our Web Specials. Treenway Silks is proud of our exceptional reputation for superior-quality products, exemplary customer service and integrity. If you are ever not satisfied, please let us know and we will work with you to make things right. For your shopping convenience, Gift Certificates are now available! We have $25, $50, $100, $150, and $200 denominations. Any of our 30+ silk yarns can be hand-dyed any of our 114 colors That’s nearly 4,000 possibilities—the ultimate customization! Click here to learn more. In a hurry? Check out Color Now! yarns—your favorite colors are already dyed in our most popular yarns. Color Now! skeins are ready to mail to you today. Selection changes daily. 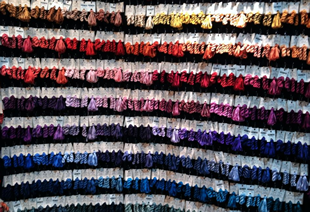 We are the home of hand-painted Montano Colorways—74 mouth-watering colorways in silk threads and silk ribbons. These were developed in collaboration with Judith Baker Montano, internationally known author, teacher, and colorist. 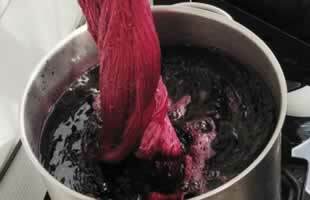 Our silk threads and silk ribbons are hand-dyed in Colorado or hand-painted in British Columbia. Please remember, while on the road, we cannot ship out orders. But we work extra long hours upon our return to send everything out as quickly as possible!